Add “On loss of communication” setting that defines what needs to happen when the datalink between the CCGX and the selected battery monitor and/or vebus inverter/charger is lost. Options are: Stop, Start and Keep running. Genset start/stop: fix a very rare but still that-should-never-happen-type bug: something could go wrong, stopping the CCGX control over the genset. Which either caused the genset stop or for it to keep running while it should not. Hub-4: added dynamic derating based on actual max charge- and discharge-current limits coming from canbus connected (lithium) batteries such as the LG Chem Resu and BMZ ESS. For more information on those types of batteries, as well as the dynamic derating function, see the this (new) Battery Compatibility page on Victron Live. Especially the BMZ ESS page. Note that this new derating function only works for Hub-4. Pressing a button while the display is off now only wakes the display up. Instead of not only waking up but also performing the action associated with that button press. How to install this new firmware? 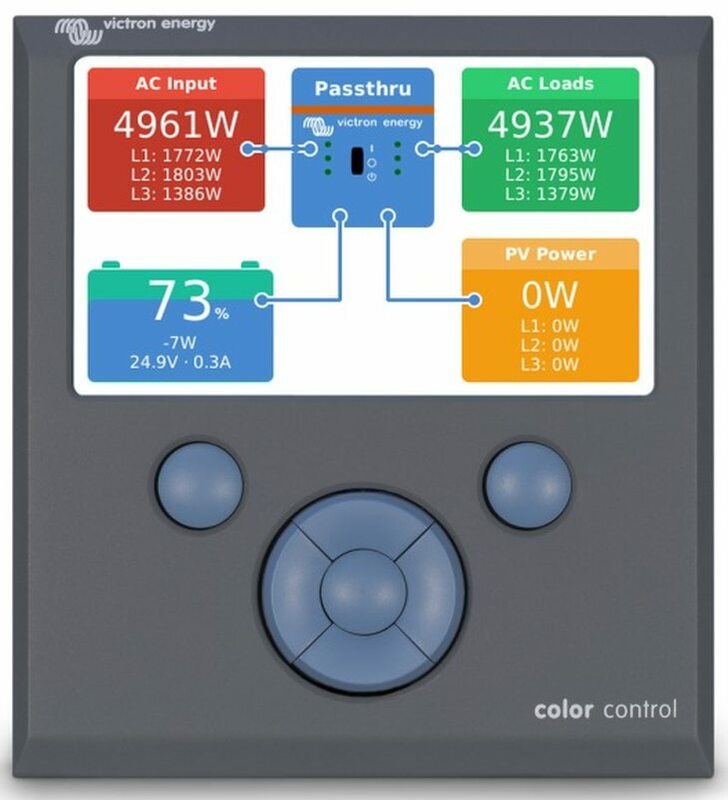 By default, a Color Control will automatically download and install new firmware via the internet, as soon as there is a new version available. For a manual update, follow instructions here. Thats it for now. Have a good night!